I love a good wishlist, there's something about collages that excites me, they never fail to inspire me and this Lavish Alice wishlist is no exception. I aimed to focus the items in this wishlist around Autumn/Winter 13 with the two toned tartan, dark florals and grungy dunagrees, not forgetting the gothic black lita's. I love how the heel makes the shoe so much more interesting, it adds an edge to the item. 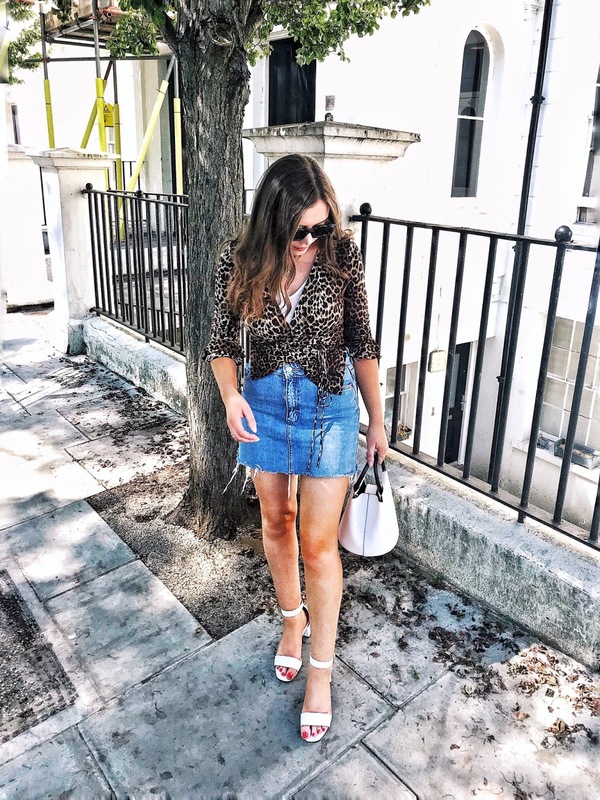 As you can tell, I got a bit distracted by the blue hued floral trousers, although they're something I feel I would not have the confidence to wear out, (yet - i'm getting there!) parading around in public, I adore them regardless. 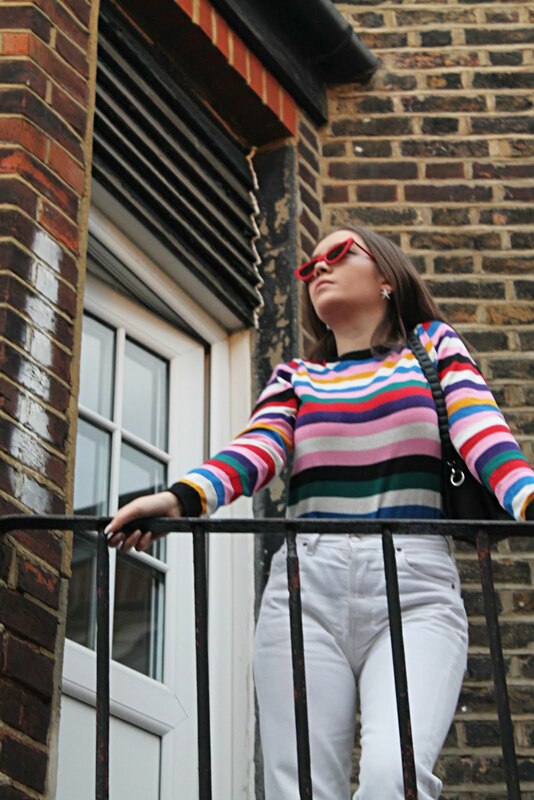 The diversion from the planned seasonal focus continues with the blue vintage sunglasses, I have a love for round frames, even though I don't own any, they give off a grunge/90s vibe which, as I've mentioned countless times before, is a look I really love. Lastly, the bright orange transparent clutch is something which caught my eye instantly, this item is definitely something I would incorporate into a monochromatic outfit for a pop of colour, even in the winter perhaps? 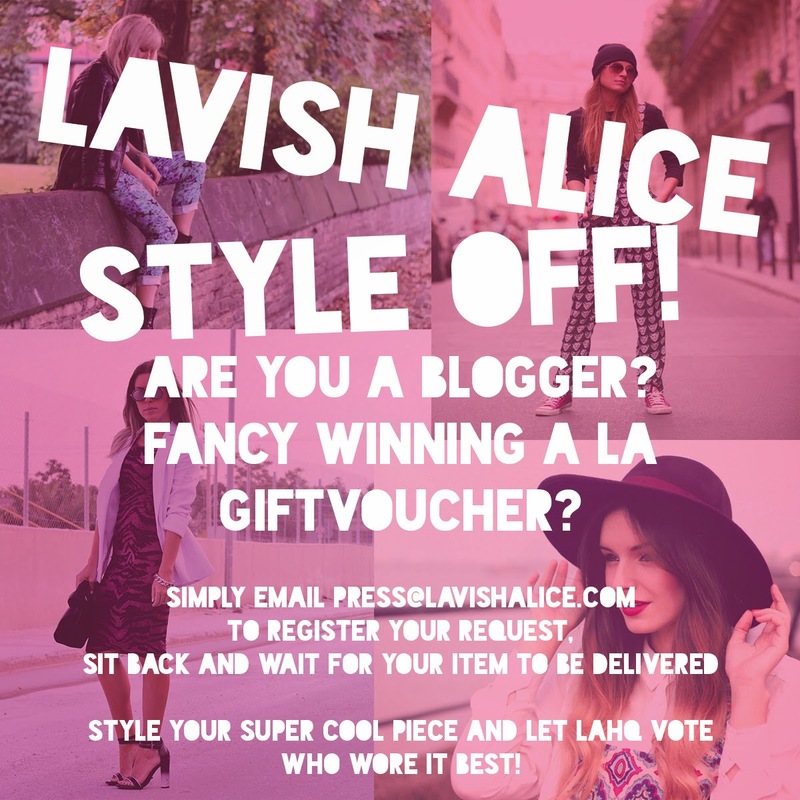 Lavish Alice are holding a blogger competition where 5 bloggers, picked at random will have the chance to take part in the Lavish Alice Style Off, each styling the same item that has been sent to them (which they will get to keep) on their blogs. The Lavish Alice team will then pick an overall winner who will receive a £50 Lavish Alice gift voucher! Sounds amazing right? The top 5 bloggers will be announced on the 25th of October and the overall winner is to be announced on the 13th of November. 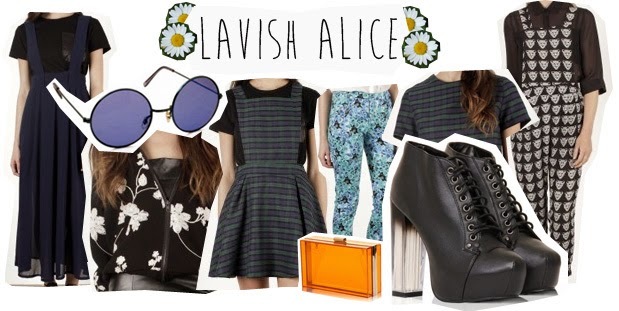 Lavish Alice have some really nice things, and that competition sounds amazing! Hey there, loved your blog, just followed you on GFC (95), would you mind to follow back?